The latest album by the Rolling Stones “Blue and Lonesome” is released on 2 December 2016. It is The Rolling Stone’s 23rd British and 25th American studio album and is entirely blues-based, consisting of covers of legendary blues artists such as Howlin’ Wolf, Memphis Slim, Willie Dixon, Buddy Johnson, Magic Sam and Little Walter. It is their first studio release since 2005’s A Bigger Bang and is the band’s first album to feature only cover songs. “Just Your Fool”, a Little Walter cover, is the first single from the album. Eric Clapton has also contributed guitar on two tracks as he was recording his own album in the same studio as the Stones were and was invited to contribute. Keith Richards also stated that the album would feature “a lot of Chicago blues”. I would like to read What Remains of Me by Alison Gaylin. This novel features Kelly Michelle Lund who, On June 28, 1980, shot and killed Oscar-nominated director John McFadden at a wild wrap party at his house in the Hollywood Hills. Lund had previously been hanging out with McFadden’s son, Vee, and Bellamy Marshall, the daughter of another Hollywood big shot, actor Sterling Marshall—friendships her mother disapproved of since Kelly’s twin, Catherine, died in a plunge into a canyon that was ruled a suicide after she started running with this fast crowd. Subsequently Convicted of the murder, she loses her youth and her freedom amid much speculation over this enigmatic seventeen-year-old’s motives. However Thirty years later—and five years after her release from prison, the past comes back to haunt Kelly. Her father-in-law, movie legend Sterling Marshall, is found in a pool of blood in his home in the Hollywood Hills—dead from a shot to the head, just like his old friend John McFadden. Naturally Kelly is suspected of the high-profile murder. American screenwriter, director, actor, comedian, author, playwright, and musician Woody Allen (born Allen Stewart Konigsberg Was born December 1, 1935. His career spans more than 50 years.He worked as a comedy writer in the 1950s, writing jokes and scripts for television and publishing several books of short humor pieces. In the early 1960s, Allen began performing as a stand-up comic, emphasizing monologues rather than traditional jokes. As a comic, he developed the persona of an insecure, intellectual, fretful nebbish, which he insists is quite different from his real-life personality. In 2004, Comedy Central ranked Allen in fourth place on a list of the 100 greatest stand-up comics, while a UK survey ranked Allen as the third greatest comedian. By the mid-1960s Allen was writing and directing films, first specializing in slapstick comedies before moving into dramatic material influenced by European art cinema during the 1970s. He is often identified as part of the New Hollywood wave of filmmakers of the mid-1960s to late ’70s. Allen often stars in his own films, typically in the neurotic persona he developed as a standup. Some best-known of his over 40 films are Annie Hall (1977), Manhattan (1979), Hannah and Her Sisters (1986), and Midnight in Paris(2011). Critic Roger Ebert described Allen as “a treasure of the cinema”. Allen has been nominated 23 times and won four Academy Awards: three for Best Original Screenplay and one for Best Director (Annie Hall (1978). He has more screenwriting Academy Award nominations than any other writer. He has won nine British Academy of Film and Television Arts (BAFTA) Awards. Allen performs regularly as a jazz clarinetist at small venues in Manhattan. In 2011, PBS televised the film biography, Woody Allen: A Documentary, on the American Masters TV series, covering biographies of actors and writers who have had a profound impact on the nation’s popular culture. World AIDS Day, takes place annually on December 1 and is dedicated to raising awareness of the AIDS pandemic caused by the spread of HIV infection, and mourning those who have died of the disease. Government and health officials, non-governmental organizations and individuals around the world observe the day, often with education on AIDS prevention and control. World AIDS Day was first conceived in August 1987 by James W. Bunn and Thomas Netter, two public information officers for the Global Programme on AIDS at the World Health Organization in Geneva, Switzerland. Bunn and Netter took their idea to Dr. Jonathan Mann, Director of the Global Programme on AIDS (now known as UNAIDS). Dr. Mann liked the concept, approved it, and agreed with the recommendation that the first observance of World AIDS Day should be on December 1, 1988. Bunn, a former television broadcast journalist from San Francisco, had recommended the date of December 1 that believing it would maximize coverage of World AIDS Day by western news media, sufficiently long following the US elections but before the Christmas holidays. In its first two years, the theme of World AIDS Day focused on children and young people. While the choice of this theme was criticized at the time by some for ignoring the fact that people of all ages may become infected with HIV, the theme helped alleviate some of the stigma surrounding the disease and boost recognition of the problem as a family disease. The Joint United Nations Programme on HIV/AIDS (UNAIDS) became operational in 1996, and it took over the planning and promotion of World AIDS Day. Rather than focus on a single day, UNAIDS created the World AIDS Campaign in 1997 to focus on year-round communications, prevention and education. 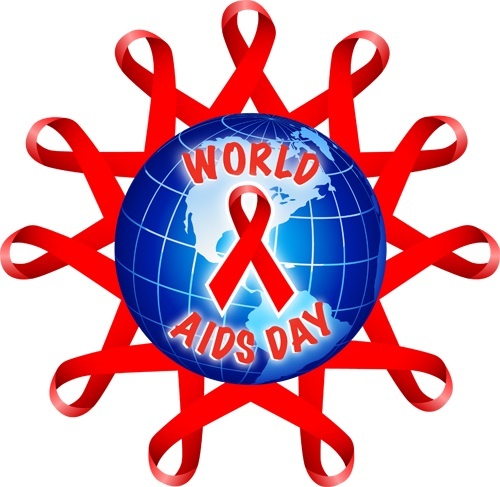 In 2004, the World AIDS Campaign became an independent organization. Each year, Popes John Paul II and Benedict XVI have released a greeting message for patients and doctors on World AIDS Day. In the US, the White House began marking World AIDS Day with the iconic display of a 28-foot AIDS Ribbon on the building’s North Portico in 2007. The display, now an annual tradition, and was the first banner, sign or symbol to prominently hang from the White House since the Abraham Lincoln administration.